In a new interview with the BBC, Woody Allen admitted that he felt "sad" for Harvey Weinstein after numerous sexual assault accusations have come to light. The controversial director is out promoting his latest Amazon productions movie, Wonder Wheel, which stars Kate Winslet who plays the wife of a carousel operator and perks up when she falls for a handsome lifeguard. The movie's red carpet premiere was recently canceled after accusations of sexual misconduct were revealed about Amazon Studios president Roy Price, who was swiftly suspended. Woody Allen worked with Weinstein on a number of projects, but claimed he had never heard any of the allegations of sexual assault. 81-year old Woody Allen sat down with an interview for the BBC where he shared his thoughts on the accusations surrounding Harvey Weinstein. The director claimed that he never knew about Weinstein's behavior and shared sympathy for the victims while also showing sympathy for Weinstein. Allen explains. "The whole Harvey Weinstein thing is very sad for everybody involved. Tragic for the poor women that were involved, sad for Harvey that his life is so messed up. There's no winners in that. It's just very, very sad and tragic for those poor women that had to go through that." The 81-year old director added that he hoped the revelations would improve matters, but warned against a "witch hunt." Allen had this to say. "You don't want it to lead to a witch hunt atmosphere, a Salem atmosphere, where every guy in an office who winks at a woman is suddenly having to call a lawyer to defend himself." These are curious comments that aren't exactly condemning Harvey Weinstein's actions, which makes sense since Woody Allen has been good friends with the former Hollywood mogul for a number of years. But it is also interesting because Allen has been accused of sexual abuse before as well. Allen has been accused of molesting his daughter, Dylan Farrow, an allegation that he has always strongly denied. The allegation came to light in the early 1990s following Allen's separation from actress, Mia Farrow. Farrow left Allen after discovering he was having an affair with her adopted daughter, Soon-Yi Previn. Allen and Previn are now married. Dylan Farrow came out in 2014 and detailed the abuse and her brother, Ronan Farrow, has come out in defense of his sister, saying that he believes the claims that she made against his father. Harvey Weinstein is often credited with reviving Woody Allen's career after the director was accused of sexually abusing his daughter, which if true, is another bizarre twist in the story. Allen said, "no one ever came to me or told me horror stories with any real seriousness," which is strange because it seems like he probably did know and didn't take them seriously. Instead, the director counters that he doesn't care about that stuff anyway when he's working on a movie. Allen explains. "And they wouldn't (tell the stories), because you are not interested in it. You are interested in making your movie. But you do hear a million fanciful rumors all the time. And some turn out to be true and some - many - are just stories about this actress, or that actor." Woody Allen's comments on the Harvey Weinstein accusations have started a bit of controversy for obvious reasons. Actor and comedian Griffin Newman has announced he "deeply regrets" working on Woody Allen's latest movie and stated that he believes that Allen is guilty while also announcing that he was taking all of his earnings from the movie and donating it to RAINN, an anti-sexual abuse organization. Actress Rose McGowan stepped up and called Woody Allen a "vile little worm," while social media erupts calling for the takedown of Allen next. 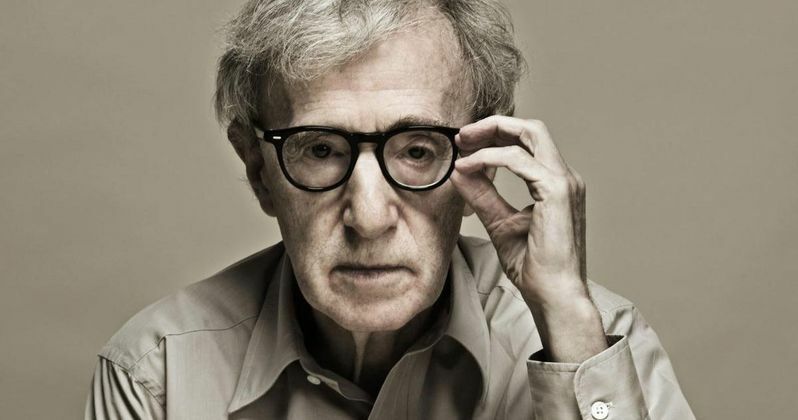 You can check out the whole interview with Woody Allen via the BBC.